Atron was established in the early 1980’s as a North American manufacturer of decorative electrical products and house ware / hardware solutions. With over 2000 SKUs in inventory, Atron has become a leading manufacturer of decorative consumer electrical products. We have further earned success and profit for our retail partners by practicing ethical and trustworthy business in the specialty lighting and electrical industries. By recognizing existing and shifting market trends and through proactive market analysis, we strengthen our industry leadership, brand, quality and production capabilities, meeting the consumer’s needs with confidence. Privately owned since 2005, our mission is to offer the best quality products at the best possible price to the retail market. Geared to develop and produce exclusive lines of products as well as branding and packaging, we offer a complete selection of interior and exterior lighting products. All our products are designed and developed in Canada, and produced in China. We offer to built and create fixtures and lighting products to answer the need of the markets ever growing demands. Supplying Residential, Commercial and Agricultural Markets with Quality Products and Exceptional Service since 1964. Inspirational and innovative residential and commerical lighting. Home Hardware / Home Building Centre own the Classic brand, providing you with quality products. Galaxy Lighting has an extensive range of energy efficient residential and commercial lighting products, as well as a wide range of interior and exterior lighting. Whether you are a residential customer looking for new ideas, or a designer with specific needs, we have something to surely light up your life. Galaxy Lighting was established by the Lee family in 1986 to provide an alternative source of readily available affordable builders lighting products for the lighting showrooms in Western Canada. Since then, Galaxy Lighting’s product selection has expanded to provide some of the most unique lighting fixtures available. These products are shipped to customers throughout Canada and the Western United States from the distribution centers in Vancouver, B.C and Toronto, Ontario. Our product, diversity, quality and service has enabled us to become one of the leading lighting suppliers in Canada and the U.S. Galaxy Lighting continues to aggressively expand its customer base in North America by offering a broad range of readily available, well priced lighting products to the lighting industry. 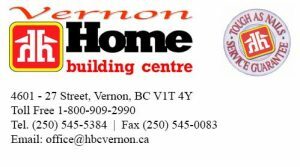 Home Hardware / Home Building Centre own the Home brand, providing you with quality products. Liteline Corporation was established in 1979. Steve Silverstein, Liteline’s founder and president offered distributors the simple service of small run custom fabrication with quick delivery. 30 years later we are the industry leader in custom lens fabrication in Canada. The secret to success was simple, offer a service people want at a level of quality they need at a price that makes them competitive. This mantra of “Price, Quality and Service” has guided our company to grow into a recognized industry leader in every product category that we manufacture and sell. We manufacture complete lines of residential and commercial lighting fixtures, HID security lighting, Lamps, Die Cast aluminum outdoor boxes, Wiring Devices and of course Lenses and Louvers. 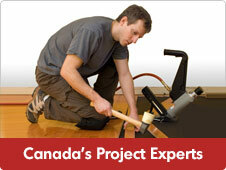 Home Hardware / Home Building Centre own the Reactor brand, providing you with quality products. No other company can match our record for producing decorative and functional lighting and ceiling fan products that influence the marketplace. Our brands are asked for by name, known for their quality and trusted by professional electricians, home builders, architects, specifiers and consumers to be the best. Every day, everywhere, every interaction is an opportunity to differentiate ourselves and improve our value proposition. To capture these opportunities, we focus on the fundamentals - reliable and innovative products, best in class customer service, disciplined financial management, and a willingness to listen, learn and think out of the box when addressing the challenges of today's competitive environment.